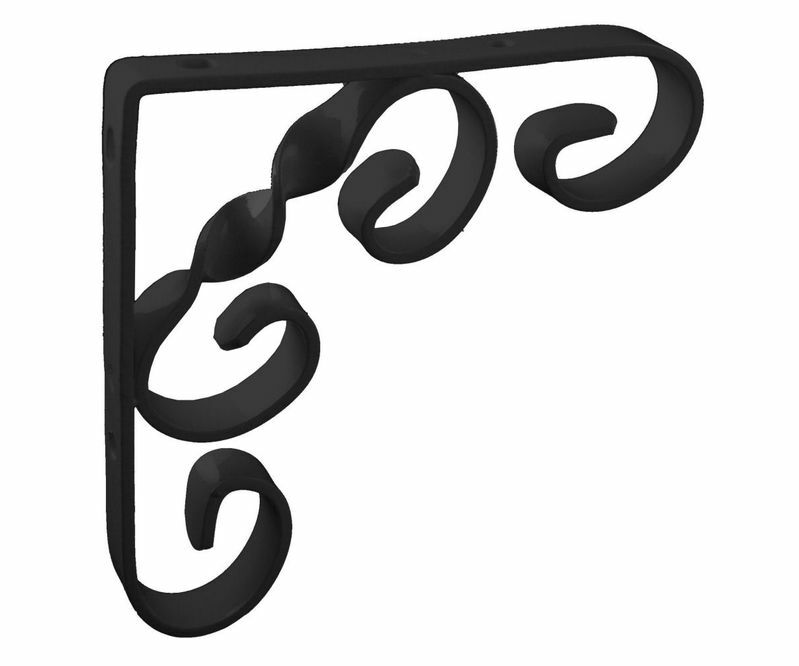 The Scroll Shelf Ornamental bracket is beautifully designed and features twists and curls. Made from mild steel with a choice of either a white or black finish, there are 4 pre-drilled screw holes for fixing in position. This is a decorative bracket that will add a touch of elegance to any shelf. Can also be used with hanging baskets. Please note:: fixings not included.